Lobster on the Grill. Perfect for Summertime or anytime. The weather is now perfect for Grilling. Some people do it more often (than others) to avoid the heat of the Kitchen. Also, Indoor built-in Grill Tops are enjoying a new popularity. No Grill? Hopefully there is at least a Grill Pan somewhere around. 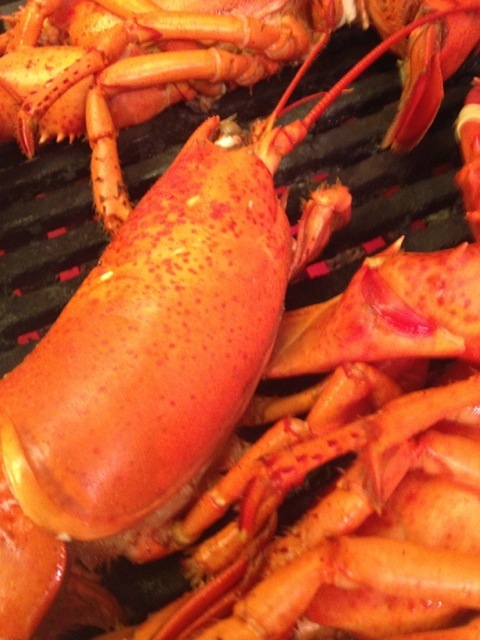 However you grill, it will deliver the perfect finishing touch to your next home cooked Lobster Dinner. Whether you Steam or Boil. Indoors or on an Outdoor Fire. Try this easy Recipe to give your taste buds a real treat. You can even use it to jazz up pre-cooked or frozen Lobster Tail. Feel free to add fresh Corn and/or Potatoes to your Steamer/Boiling Pot and Grill. The secret ingredient is using an aromatic Spice and Herb Blend, like California Gold BBQ Rubs. HEROIC! is all natural with no added Salt or Sugar. POWER contains lower amounts of Salt and Sugar. 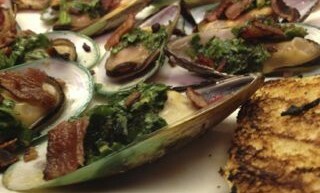 They both contain premium flavors that compliment fish like Garlic, Smoked Paprika, Fennel, and more. This dish can also be finished under a Broiler. -Start by heating up your water, bringing it to a boil. Depending on whether it is Steaming or Boiling water, add up to 1 to 1+1/2 Tbsp. BBQ Rub, tied bundle of Thyme Sprigs and Salt to taste. -Make up your Garlic Spiced Compound Butter by mixing Butter with Chopped Garlic, some of the Chopped Parsley, 1 to 1+1/2 Tbsp. BBQ Rub. Set aside leaving soft. Make extra Butter if you’d like some on your Potatoes or Corn. -Slather each open Lobster half with approx. 1 tsp of Compound Butter. Grill on Medium heat for about 5 minutes, or until it firms a bit and shows nice char marks. May also grill the Corn and Potatoes while it’s hot. -Serve with remaining soft Compound Butter (or melt gently in Microwave to make it a Butter Sauce). Finish with a squeeze of 2 Tbsp. Fresh Lemon, and sides of Lemon Wedges. Remove all Seeds for a better dining experience. Toss on a final sprinkle of Chopped Parsley for a added burst of fresh flavor. Feel free to dust BBQ Rub on your Corn and Potatoes. Enjoy! 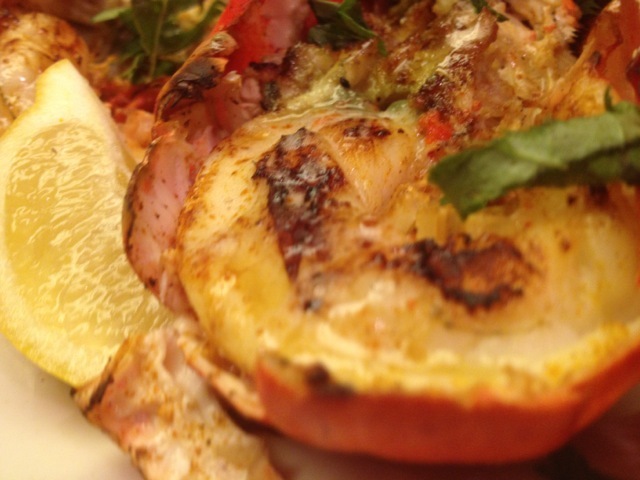 Grilled Lobster with Garlic Spiced Compound Butter. Use these secrets for the Best Grilled Lobster this Summer.